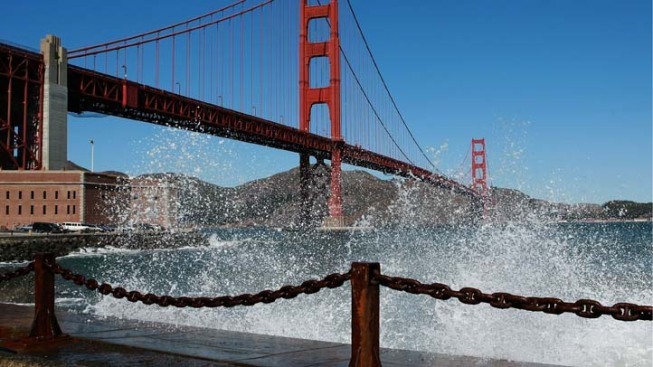 The City by the Bay is also the city with its nose in the air, according to Travel + Leisure. Can a city be both friendly and snobby? It can if it’s San Francisco, apparently. The City by the Bay made its way to the top of Travel + Leisure’s list of America’s snobbiest cities, despite also being the most gay-friendly city. In their annual survey of America’s favorite cities, Travel + Leisure asked their readers to rank 35 major cities by features like the attractiveness of its residents and the quality of its microbrew beer, but added some twists to determine a city’s level of snobbery. “To determine which city has the biggest nose in the air, we factored in some traditional staples of snobbery: a reputation for aloof and smarty-pants residents, along with high-end shopping and highbrow cultural offerings like classical music and theater,” wrote Katrina Brown Hunt in blog post. Rounding out the top five cites: New York City, Boston, Minneapolis/St. Paul and Santa Fe, N.M.
Click here to see the full list of America's snobbiest cities.